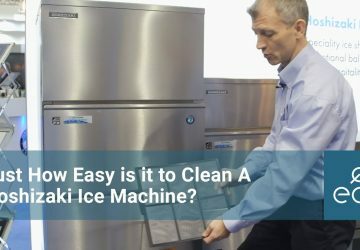 Hoshizaki are industry leaders when it comes to manufacturing quality ice machines. 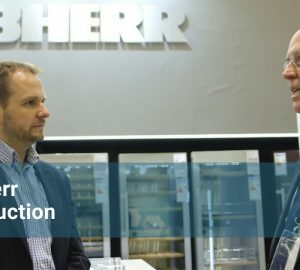 In this video Max from Hoshizaki gives Eco’s very own Tim an overview of the large capacity IM modular ice makers. When you require a large volume of ice, the modular IM systems are the best solution. We can supply a large production machine head unit and separate bin, both of which come in varying production and storage capacities. The range goes from the 130kgs per 24hrs IM-130 model to a 240kgs per 24hrs IM-240. To accompany these models, you can add a 140kg, 200kg and a 350kg storage bin, depending on the volume and capacity of ice you require. The IM models produce ice in the same way. Hoshizaki have created a closed cell system, with an individual spray jet for each cell, meaning you get consistent cubes in each cell. Being a closed cell keeps out airborne bacteria. Making ice in this way produces a denser, clearer cube. This gives a nicer finish which enhances the drink and means it takes longer to melt, protecting the beverages integrity. This is a production technique unique to Hoshizaki. Hoshizaki Modular units use HFC Free gas. This is a hydrocarbon refrigerant as opposed to synthetic. 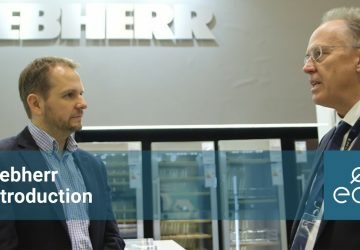 Using hydrocarbon means the ice maker is energy efficient, saving you money but also making the machines far more sustainable for the environment. Hoshizaki pride themselves on their design and build quality and this carries through their entire range. 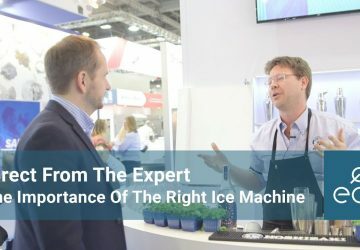 All ice machines come with a 2-year, full, on site parts and labour warranty. Providing you with complete peace of mind. You know your ice machine is built to last and perform consistently. Here is one example of Hoshizaki’s superior design and efficiency. Once the ice is made a hot gas defrost releases the ice down on to a shoot which slides into the bin. The shoot is then rinsed down with fresh, clean water before the next cycle begins. The machine is maintaining itself throughout the ice making process. Keeping the ice pure and the system clean, resulting in reduced input from you. Despite being big, the modular ice machines are extremely easy to use. We call them plug and play units, once plugged in they will start to produce ice. Cleaning them is easy. Turn the machine off and clean the storage bin. 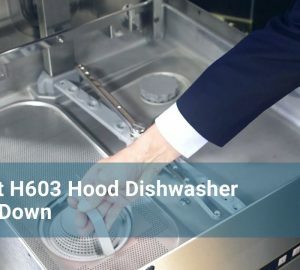 Hoshizaki recommend you clean the bin once a week. Once the machine is off and the bin is empty, simply wipe the interior over with a food safe sanitiser. Once you’ve done that simply turn the unit back on and it’s ready to go. General maintenance is also straightforward. 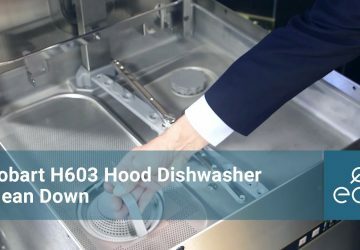 Hoshizaki’s aim is to make their units as easy to maintain as possible. All they ask you to do is take out the air filter once a week and either vacuum it or wash it in the sink, dry it and simply place the filter back again. The filter is in place to collect dust and dirt from the environment and prevent it getting into the system when it’s in operation and being cooled. Whilst each Hoshizaki ice maker comes with a 2-year full warranty, there is also the option to add a silver or gold service package. These include a service visit once or twice a year from a Hoshizaki engineer. 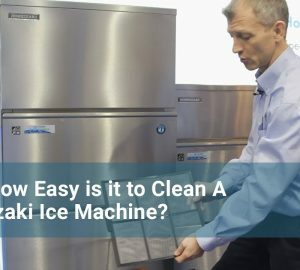 They will clean your IM ice machine, service it and check things over. The modular IM machines range from 130kg output up to 240kg output. For sites that want even greater ice production or potentially future proof their ice production you can purchase the IM-240DNE allowing you to stack the head units. You can add an additional IM-240 to your existing one to give you 480kgs of ice production and another unit to give you 720kgs of ice production in 24 hours. You can add additional head units at any time. Score a goal this World Cup! 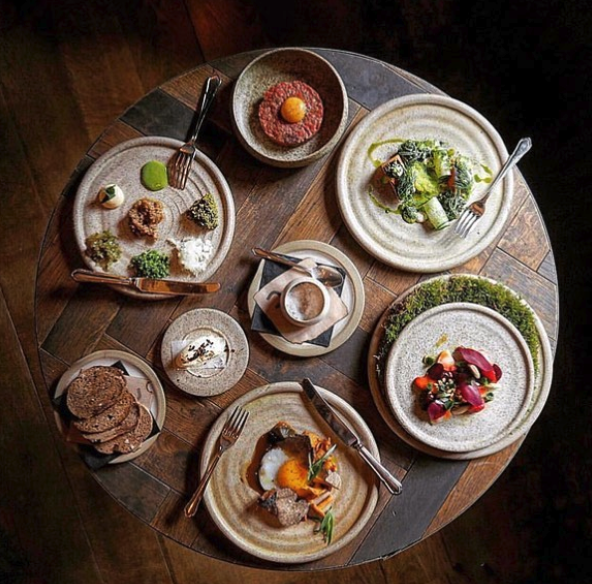 © Eco-Catering-Equipment.co.uk - All Rights Reserved 2018.